THE PICKIEST EATER IN THE WORLD: BACK IN SESSION AT PHOENIX COURT! 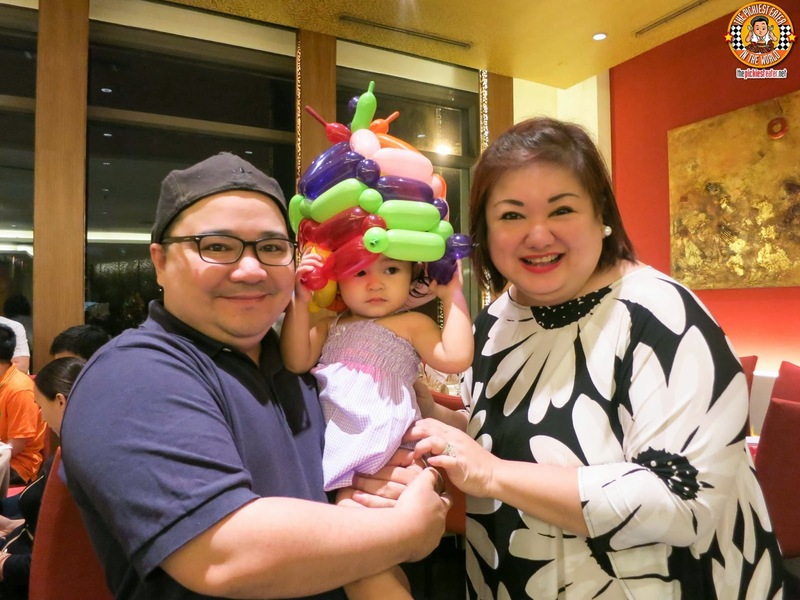 A few months back, Rina, Baby Rain and I enjoyed a short staycation at The Bellevue Hotel in Alabang. I was completely blown away when I found out that it wasn't an international chain, and that it was locally owned. 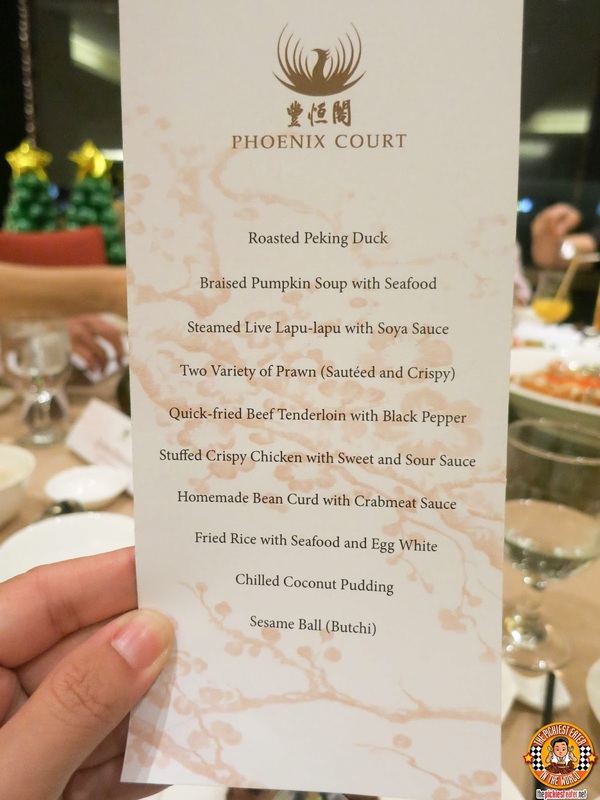 One of the highlights of our stay was the incredible meal we had at Phoenix Court. Our meal was so awesome, I felt it deserved a sequel. Lo, and behold, I got it! 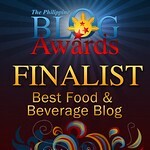 Rina and I made our return to Phoenix Court, when we were invited by our Blogger friend, Jane Jane of Sugar & Spice. I discovered Jane's blog a few months back, and I really enjoyed the stories she shared of her and her family. I found it amazing how the most important people in her life - her husband and her kids, are so involved and supportive of her zany adventures! 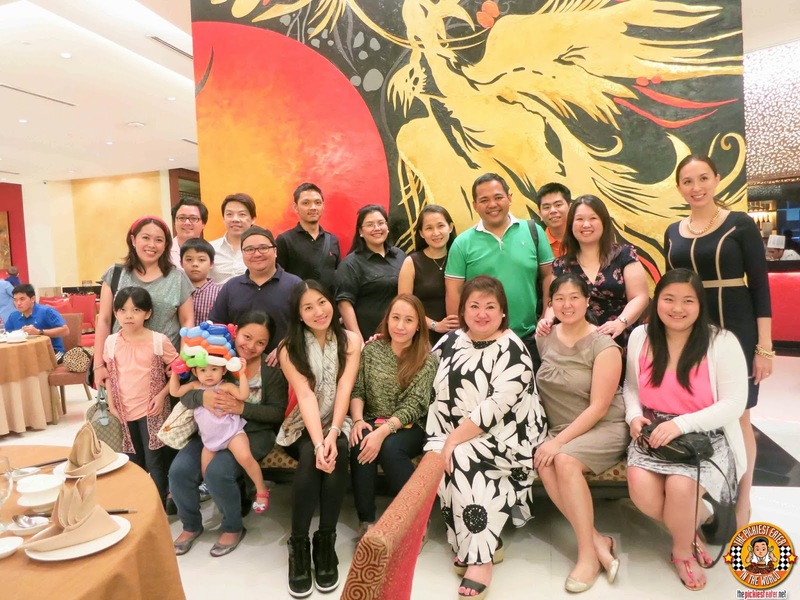 Jane arranged this entire staycation for Rina, Rain and I, together with a whole bunch of other bloggers that participated in Jane's 12 Angels of Christmas series. 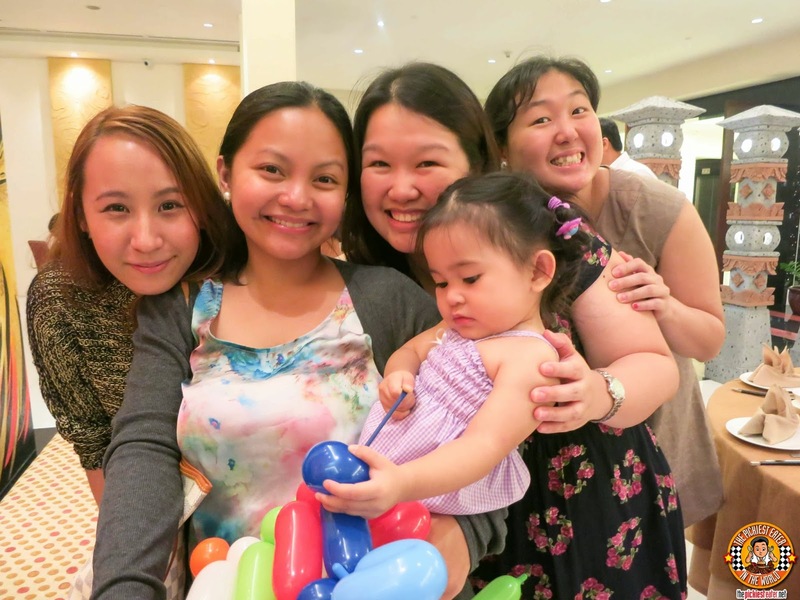 It's always a ruckus when us bloggers get together, and I was happy that a lot of my favorite ones joined us! For the children of the bloggers, entertainment was prepared. 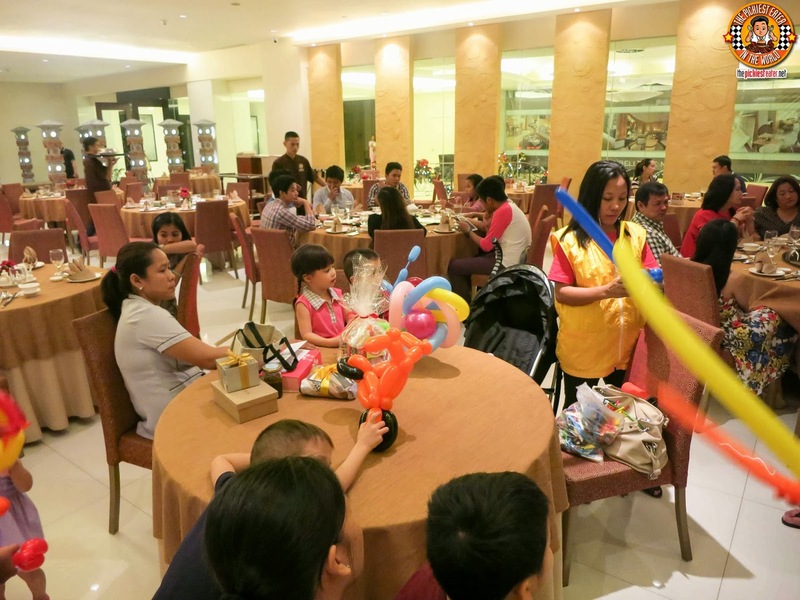 A balloon artist made some fun designs for the kids! 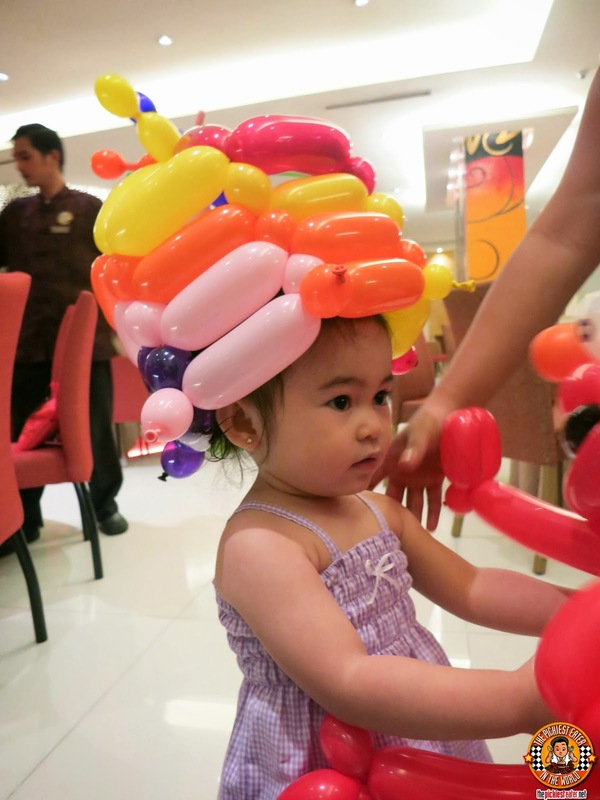 My Baby Girl had so much fun with her new crown and her little Elmo Balloon doll! (Even when it was deflated, she refused to throw it away). Sidenote: I tried to do the whole Balloon Artist thing once. To impress a girl. I got a whole bunch of balloons, and tied em' up together. She asked me what it was. I said, "Your lower intestines!". She looked at me like I was Hannibal Lecter, and left. Make no mistake about it. 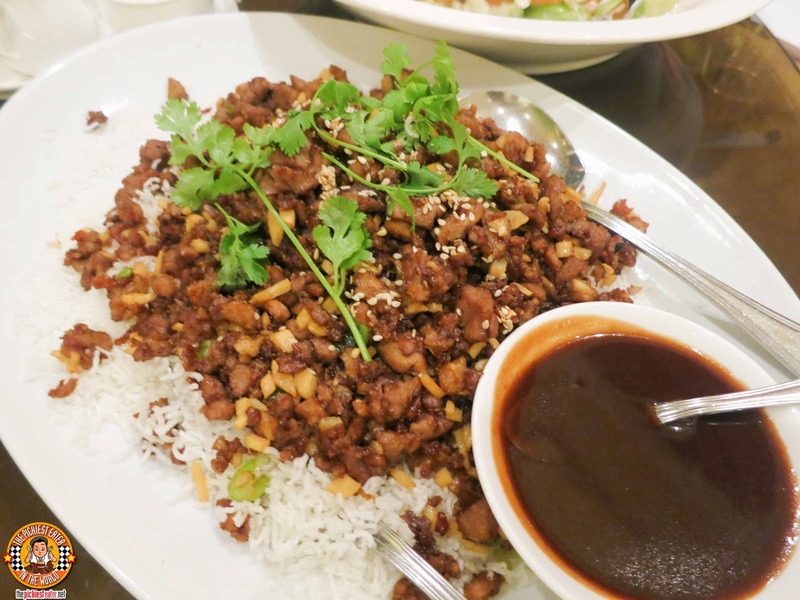 Phoenix Court is one of THE BEST Chinese restaurants in Manila. Off the top of my head, I can only think of one or two other restaurant that is possibly on par with their mastery of the Chinese cuisine. 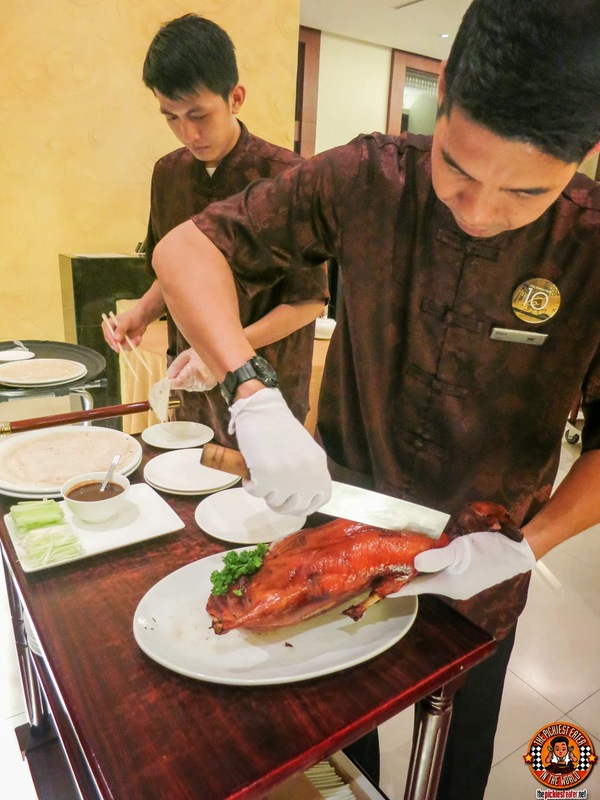 We started the meal - Yes, you read that right, STARTED THE MEAL - with the Roasted Peking Duck - One of my most favorite things in the universe. 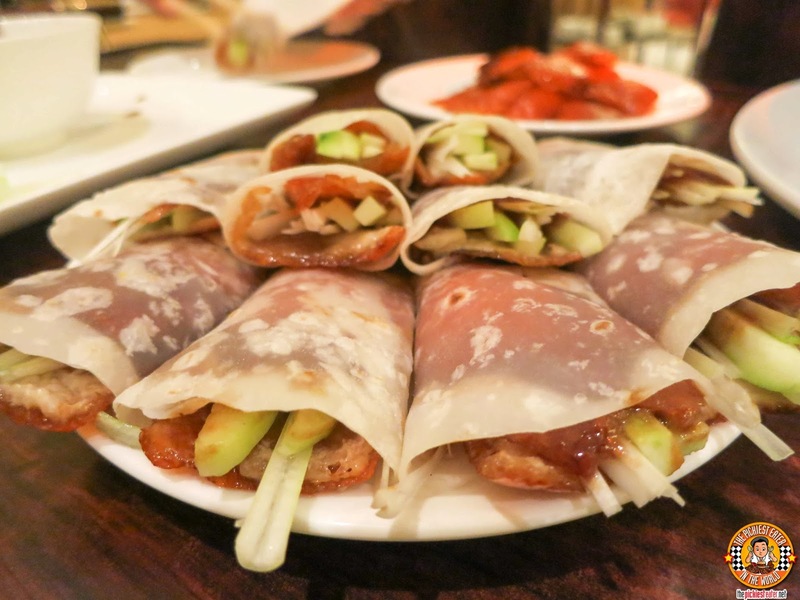 The duck was skillfully sliced table side by the carve masters..
.. Then delicately wrapped with a smearing of hoisin and green onion and cucumber. This was amazing. The meat was juicy, and the skin was still so crispy, and simply popped in your mouth with every bite. The left over meat was then minced, and cooked in a second way.. 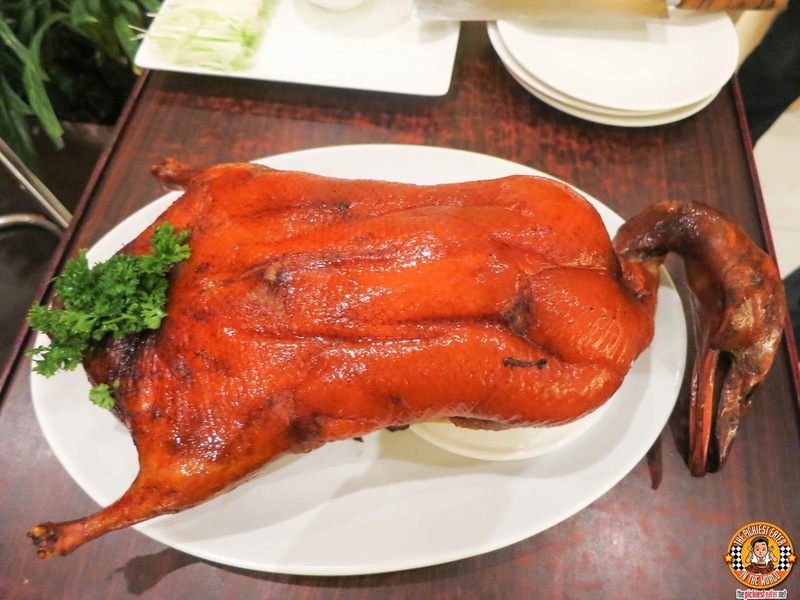 Duck San Choy Bau. Normally this is eaten in a lettuce cup, but there was no way in hell I was gonna do that. So I ate it with rice hehe... Trust Me.. EVEN BETTER. 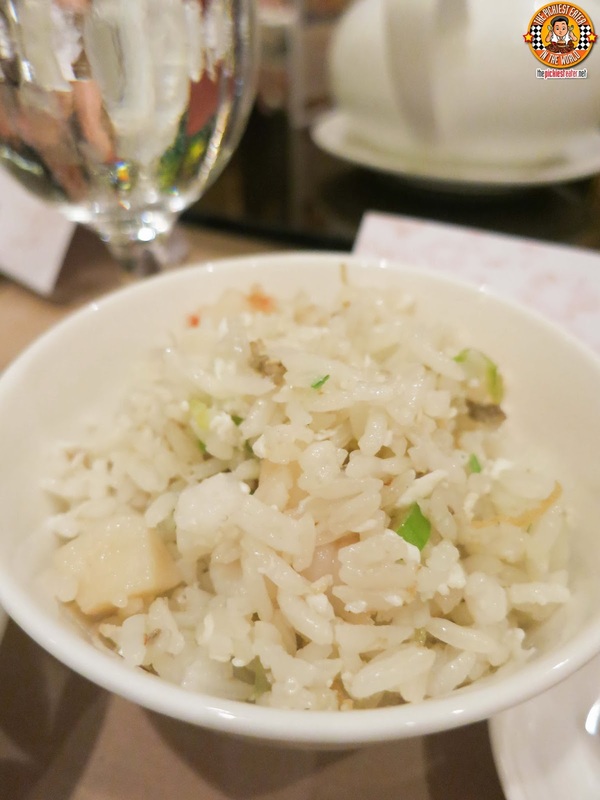 Especially if that rice is the Fried Rice with Seafood and Egg White. Apart from fish, I'm not too big on seafood, but it was only after i had finished around two bowls of these bad boys did I realize I was eating scallops and shrimps and other mixed seafood. Simply said, it was so beautifully textured and so darn good, it made me forget that I'm the Pickiest Eater in The World. 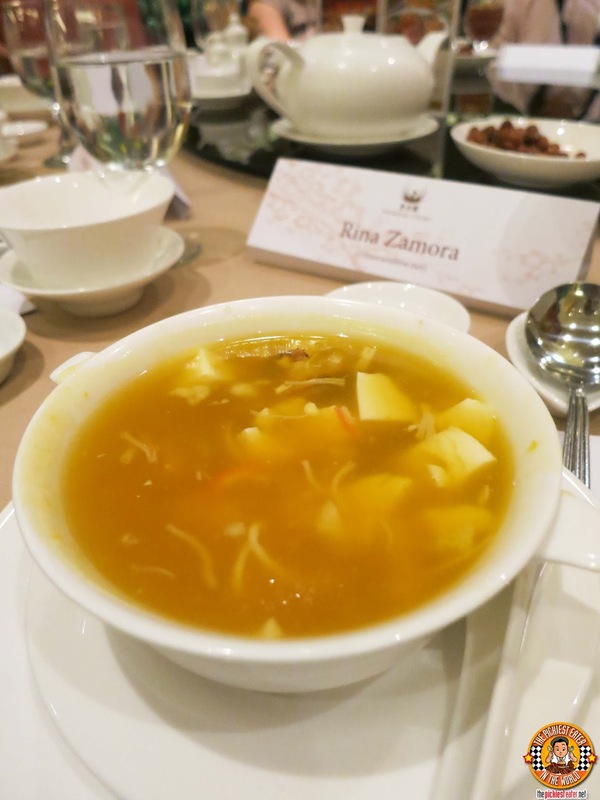 Pumpkin Soup is my favorite soup, so I was eager to try Phoenix Court's Pumpkin with Seafood Soup. The consistency was closer to Chinese style soups, such as Hot and Sour, etc, but it still had the distinct sweetness of pumpkin, enhanced further by the medley of mixed seafood swirling around it. 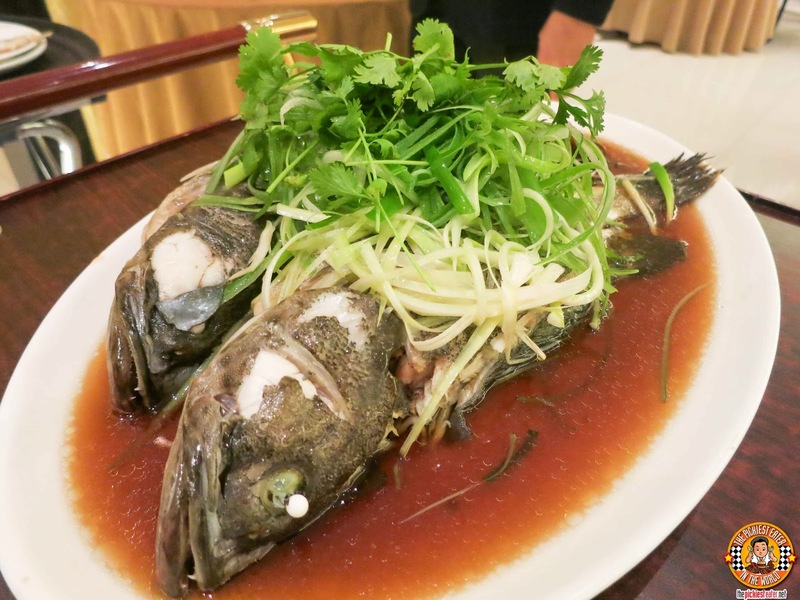 Our next dish was the "Steamed Live Lapu Lapu with Soya Sauce". The name sounds a little morbid, I know, but its actually only to depict the freshness of the fish before being cooked. 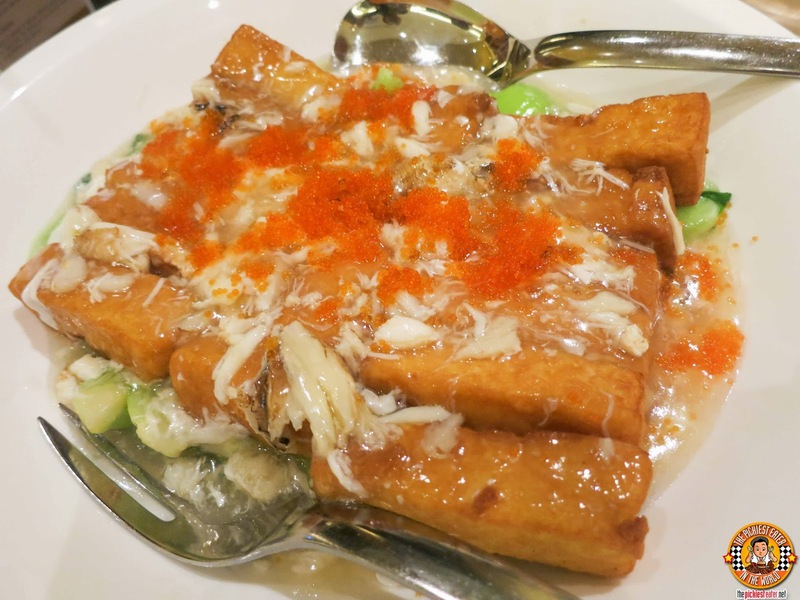 This is one of the best fish dishes you'll ever try. The fish meat was so soft, it practically melted in your mouth, and the Soya sauce bath just brought out the natural flavors of the fish. 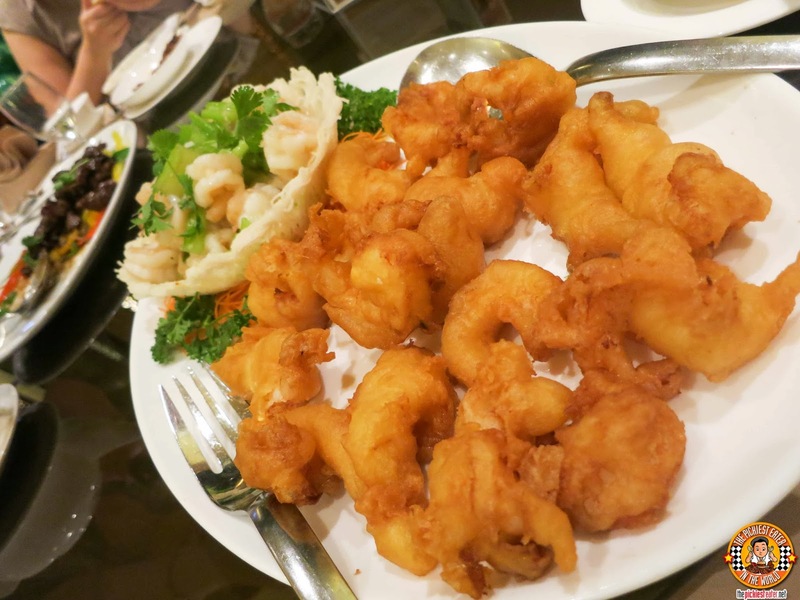 Rina's got excited when they placed the "Two Variety of Prawns: Sauteed and Crispy" right in front of her. I was a little worried that she was going to put a wedge on the lazy susan so that no one else could move it away from her. The prawn had a stunning golden brown coating around it, which revealed the succulent shrimp meat. The sauteed variant offered the natural flavor of the prawn. Rina couldn't pick just one favorite between the two. Personally I didn't try it, because like I said, i'm not too big on shrimp. 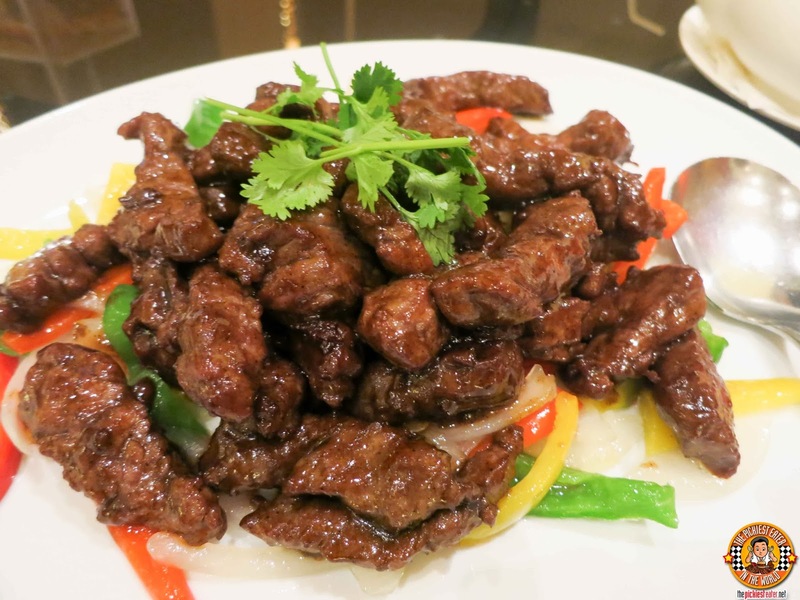 Another dish that knocked it out of the park for me, was the Quick Fried Beef in Black Pepper. Glorious cuts of beef, basked in a black pepper blaze that was a trip for the taste buds. It's quite possible that I could have finished the platter all by myself. Which is why, among all the dishes that I tried the only one I didn't enjoy as much was the Stuffed Crispy Chicken with Sweet and Sour Sauce. I had high hopes for this, but I think the chicken itself was "stuffed" with a shrimp filling, that I didn't care so much for. Suspiciously, Shrimp-lover Rina annihilated my serving, only reinforcing my theory that it was indeed, shrimp. Surprisingly, my system has slowly been accepting some tofu dishes, something that was unthinkable just a few years back (Food Blogging has forced me to broaden my horizons in terms of my food choices But it has also made me fat.. so is that a good thing or bad?). Unfortunately, I abstained from tasting the Homemade Bean Curd with Crab Meat Sauce, simply because Im afraid of being allergic to shellfish. This wasn't on our menu card, but I suspect this was the Pan Fried Crispy Noodles with Seafood. 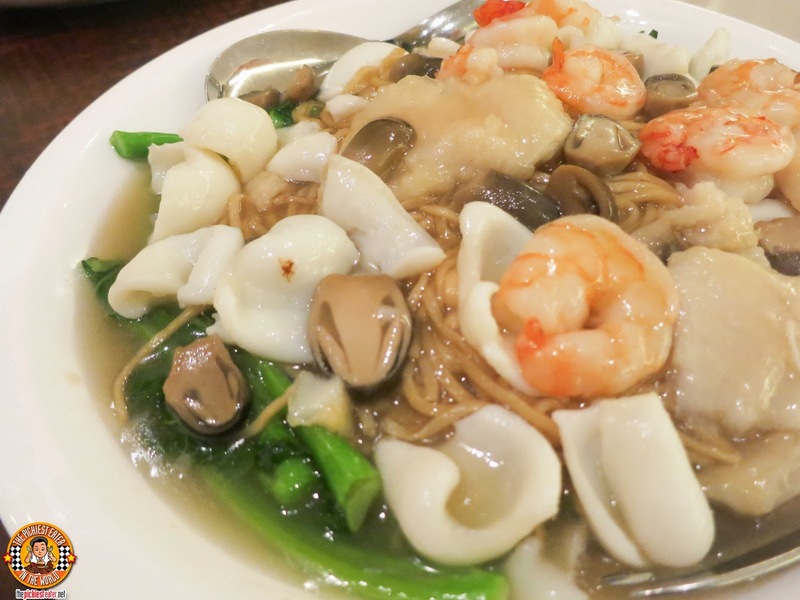 Huge chunks of squid, plump shrimps, and tasty cuts of filleted fish were generously scattered over the platter of noodles, already resting on a bed of mixed vegetables and mushrooms. I felt it was a tad under-seasoned, but nothing that a few dashes of salt couldn't cure. 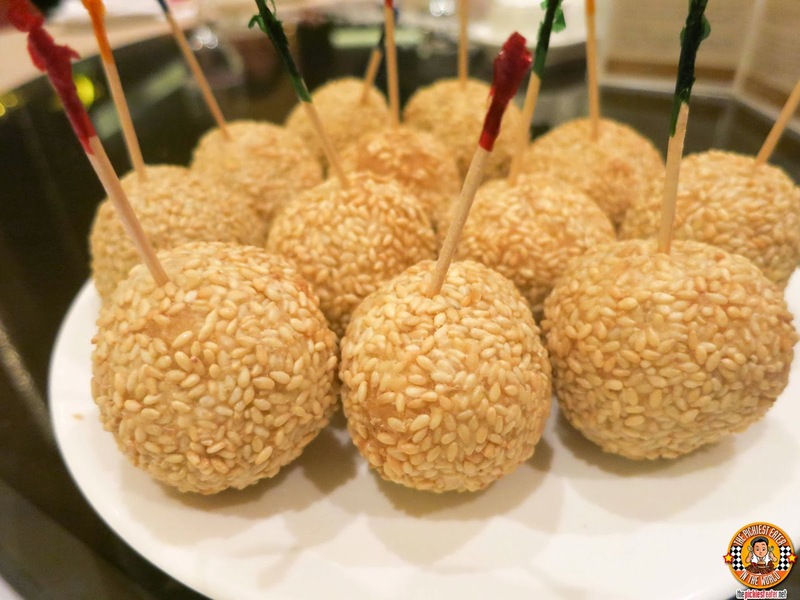 Our dessert started with the Deep Fried Sesame Ball with Lotus Paste.. more popularly known as "Buchi". This was a little bit harder than the usual Buchi that i'm accustomed to, but extremely delicious, nonetheless. Definitely worlds apart from the "Pancake with Lotus Paste" I tasted during my first visit. 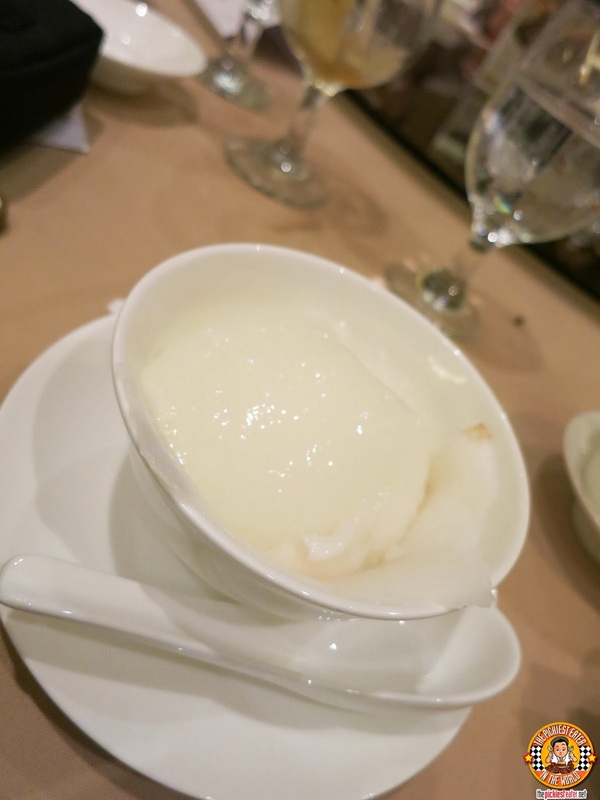 Once again, the grand finale was Phoenix Court's signature dessert, The Chilled Coconut Pudding. A wonderful mix of creamy coconut milk based pudding, and actual chunks of Coconut meat. This really was a phenomenal meal, that was fitting for the incredible company I was with. 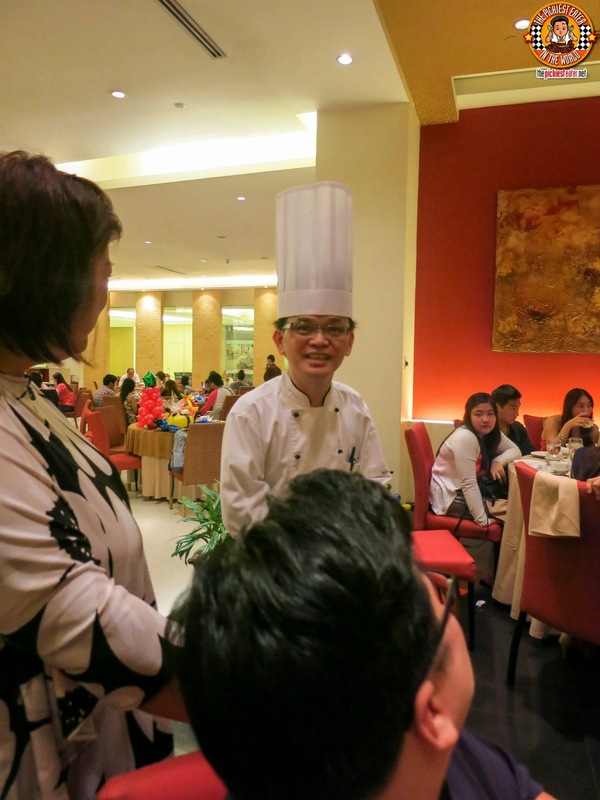 We even got to meet Chef Cheong Kwan Loong, whose precious skills in the kitchen is a key driving force behind the success of Phoenix Court. 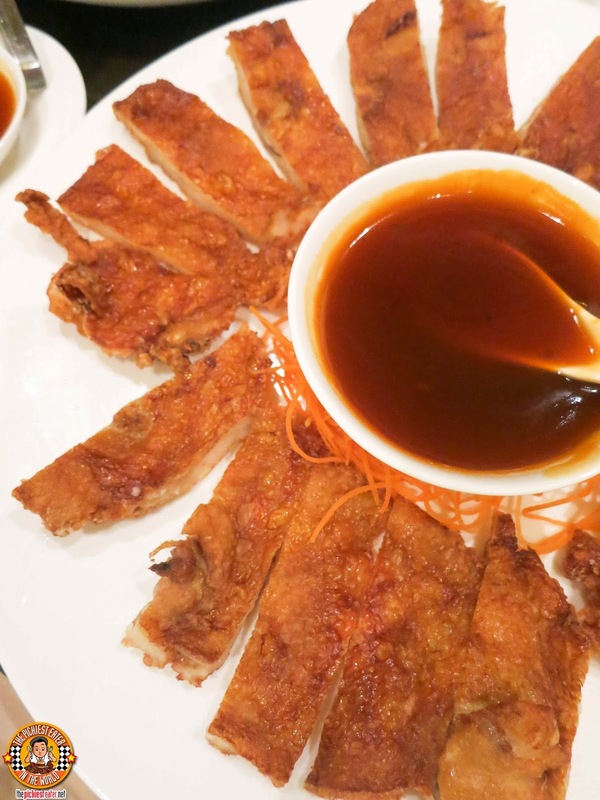 If my first visit led me to believe that Phoenix Court belongs in the upper echelon of Chinese Restaurants in the Philippines, this visit reaffirmed it definitively. 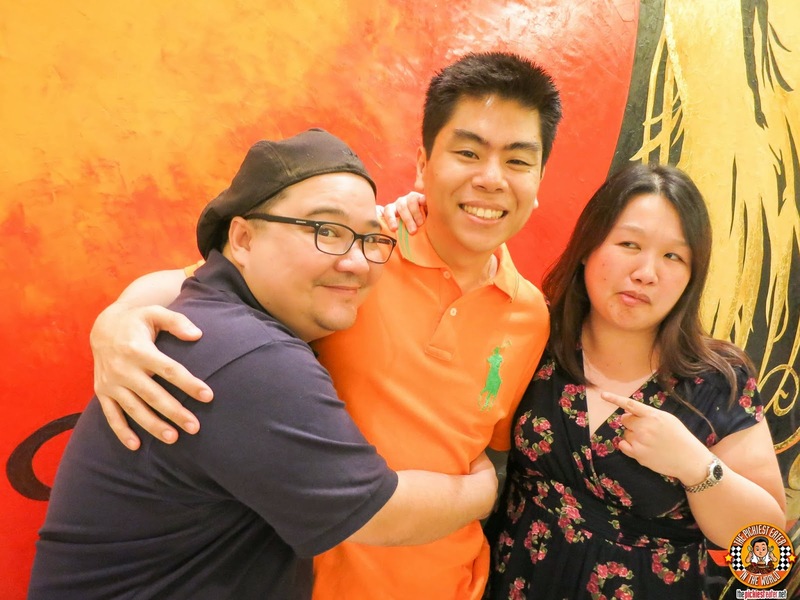 The poster for the next GMA Telenovela, entitled, "My Jowa's Jowa". Girls night at Phoenix court with The Purple Doll, Rinas Rainbow, Franny Wanny, and The Candisssh Tales! It was an honor to share a meal with these distinguished bloggers from different fields, not to mention the entrepreneurs whose success stories left us all inspired. How good is Phoenix Court? As soon I found out that they were holding "The Great Bellevue Sale", Rina sped to Makati to purchase some fantastic deals... 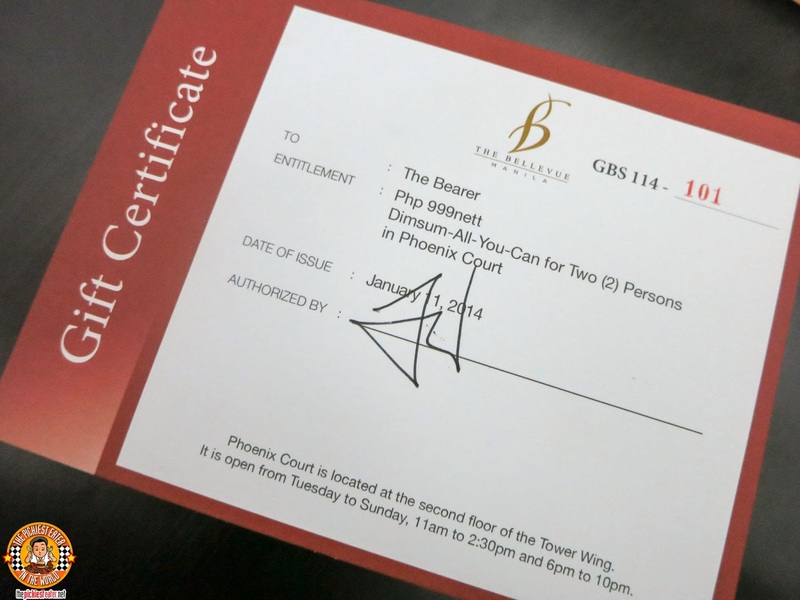 Including a voucher for the Dimsum Eat all you can for two! As usual, you cracked me up so early in the morning, Richie. :) You got me at "my jowa's jowa" haha. Your face & Paul's = hilarious, but franny's face was the funniest -talagang todo emote, lels! Haha! Stepping stone daw ito ng bago niyang acting career!